October is officially upon us! What says October better than jumping in piles of leaves, warm pumpkin pie and World Smile Day! Today, October 3rd is World Smile Day, a day dedicated to the gorgeous smiles across the globe! The sights and sounds of a laughing, smiling child can brighten an otherwise cloudy day. At least in our world. Even though some days make us wonder, not every hour is packed with blue skies and rainbows, my kids somehow have a way of letting me know it's all worth it at the end of the day. It just takes a smile. They can make me laugh by goofing around and just being themselves, they are little hams! I sometimes find myself joining them in their silly shenanigans, we play together and we smile together. It warms my heart and soul seeing them smile, knowing that they are happy and loved. Special smile-worthy moments have happened in our house thanks to Kinder Surprise. With the kids in school all day, it gives them a moment to smile and play. Always a special surprise when they least expect it. It doesn't matter if they had a bad day or a good day, it will end with a smile once they open up those Kinder eggs. Kinder Surprise are great for treats and celebrations like upcoming Halloween too! With all new Disney Fairies and Transformers toys in special edition Kinder Surprise eggs starting mid-September, you're bound to share the #KinderSmiles this Halloween! 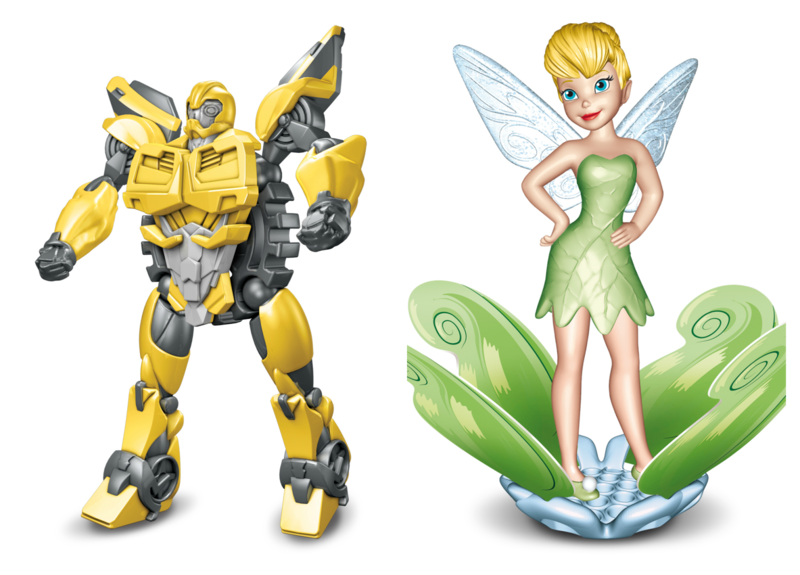 There are 8 Transformers and 10 Disney Fairies to collect, the Transformers connect all together to make an even bigger toy! 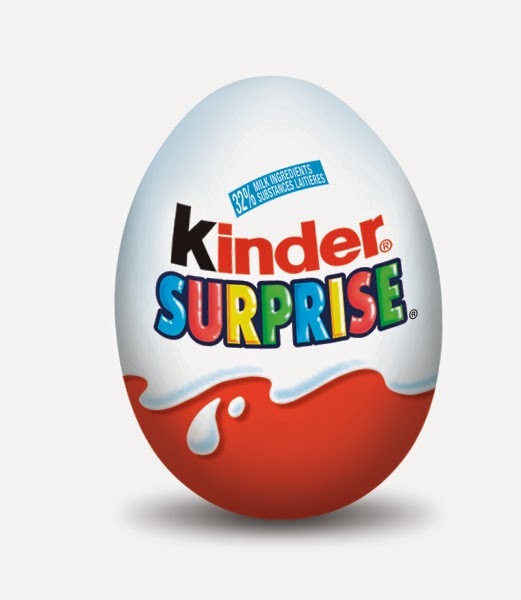 Keep your eyes peeled for specially marked Kinder Surprise! I know, you may not want to buy a bunch of Kinder eggs to give out at the door to every ghost and goblin who comes knocking this Halloween (how cool a parent would you be!) but I know many who give special treat bags to kids they know like cousins or friends. Treat bags could include some Halloween pencils, erasers and other ghoulish things you can find at the dollar store, toss in a Kinder Surprise and there you have it! Treat bags make for a great Halloween party too! Did you hear the news? Kinder Surprise broke the Guinness world record of people opening up the chocolaty treat all at once at the CNE in Toronto last month! It was such a big event that it even made the news both online and television! That's amazing and so happy to be part of the #Kindermom family! Have you had a chance to check out the Smile Booth online? You can still get your own #KinderSmiles photo by visiting the Kinder Canada Facebook page to create your own photo strip! Every time a #Kindersmiles photo is shared over social media, the photo is automatically added to a digital photo album on Facebook for everyone to see! You might just see us in the gallery if you look carefully! Check it out and start creating your #Kindersmiles today! 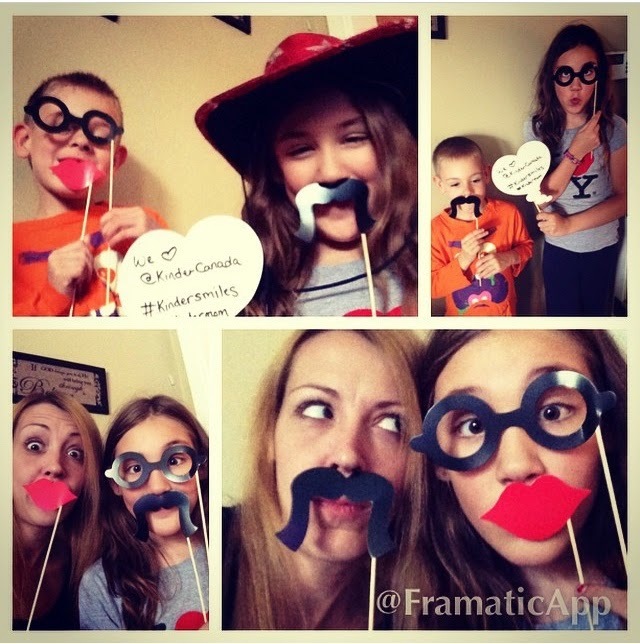 Posted in participation with the Kinder Canada #KinderMom program. Compensation is received as a thank you for posting. Opinions and comments on this blog are honest and those of the author. your blo and will eventually come back in the future. I want to encourage you to definitely continue your great job,have a nice day!